It happens in America every four decades and it is about to happen again. America’s demand for change in the 2008 election will cause another of our country’s periodic political makeovers. This realignment, like all others before it, will result from the coming of age of a new generation of young Americans—the Millennial Generation—and the full emergence of the Internet-based communications technology that this generation uses so well. Beginning in 2008, almost everything about American politics and government will transform—voting patterns, the fortunes of the two political parties, the issues that engage the nation, and our government and its public policy. Building on the seminal work of previous generational theorists,Morley Winograd and Michael D. Hais demonstrate and describe, for the first time, the two types of realignments—“idealist” and “civic”—that have alternated with one another throughout the nation’s history. Based on these patterns, Winograd and Hais predict that the next realignment will be very different from the last one that occurred in 1968. “Idealist” realignments, like the one put into motion forty years ago by the Baby Boomer Generation, produce, among other things, a political emphasis on divisive social issues and governmental gridlock. “Civic” realignments, like the one that is coming, and the one produced by the famous GI or “Greatest” Generation in the 1930s, by contrast, tend to produce societal unity, increased attention to and successful resolution of basic economic and foreign policy issues, and institution-building. The authors detail the contours and causes of the country’s five previous political makeovers, before delving deeply into the generational and technological trends that will shape the next. 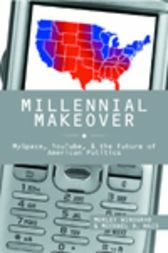 The book’s final section forecasts the impact of the Millennial Makeover on the elections, issues, and public policies that will characterize America’s politics in the decades ahead. "Here is an insightful—and provocative—look at the future of American politics. It will delight some people and startle others—but it will leave no one unmoved." Morley Winograd is the executive director of the Institute for Communication Technology Management at the University of Southern California's Marshall School of Business. He served as a senior policy advisor to Vice President Al Gore during the second term of President Clinton's administration. Michael D. Hais is retired as the vice president of entertainment research at the communications research firm, Frank N. Magid Associates.